The American Kennel Club has taken the lead in supporting legislation across the country that protects the rights of responsible dog owners. The AKC Political Action Committee gives us an additional tool with which to interface with legislators. Through this non-partisan PAC, we can demonstrate a unity of purpose that helps us advance a positive legislative agenda. The AKC PAC collects voluntary contributions from individuals and uses these donations to support candidates who defend dog owners' rights and can effectively influence legislation impacting animal owners. 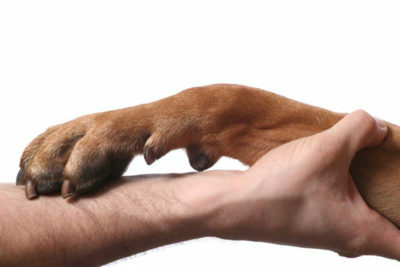 Your donation will be pooled with contributions from AKC club members across the country to strengthen our support for reasonable, enforceable laws that protect the health and welfare of purebred dogs and do not restrict the rights of breeders and owners who take their responsibilities seriously. Contributions to this fund are not deductible on federal tax returns. Federal law requires us to use our best efforts to collect and report the name, mailing address, occupation and name of employer of individuals whose contributions exceed $200 in a calendar year*. The maximum annual contribution to the AKC PAC is $5,000. All contributions are voluntary. What’s the difference between the AKC PAC and the Canine Legislative Support Fund? What is the AKC PAC and What Can it Do For You? Select the club to which you are a member, or "Other Affiliation"; upon selection you will be taken to the donation form. I certify I am a member in good standing of the club selected above. Please click box to continue. *Please note that some states require reporting contributions of amounts less than $200. “PAC” stands for political action committee. A PAC is a private organization that collects funds from its members and makes political contributions to elected officials and candidates for public office. Why did the AKC form a PAC? What’s wrong with what we have been doing? Historically AKC legislative efforts have included educating legislators about specific issues through office visits by core constituents, AKC staff and lobbyists, letters of support or opposition to legislation, appearances at hearings and public meetings, and similar activities. Though these activities are effective and will continue, AKC PAC buttresses these efforts. The PAC allows AKC to support candidates and elected officials who champion policies important to the AKC and consistent with its mission and goals, and officials who hold key legislative positions affecting legislation in which the AKC is interested. The AKC PAC is dedicated to protecting, preserving, and strengthening American free institutions, and in particular the protection and advancement of purebred dogs and the sport of purebred dogs and their owners and participants. Who can be solicited by the AKC PAC? Corporate PACs, such as the AKC PAC, are permitted by law to solicit only from eligible persons. Solicitation must be done in a manner where ineligible persons will not inadvertently be solicited. Executive and administrative employees of the AKC. Members in good standing of AKC member and licensed (i.e., “affiliated”) clubs. Who can contribute to the AKC PAC? By law, only individuals may contribute to PACs. All contributions must be completely voluntary. Neither the AKC nor its affiliated clubs may require or coerce an employee or member to contribute to the AKC PAC. Dog clubs, businesses and other organizations may not contribute to the AKC PAC. However, dog clubs may continue to contribute to the AKC Canine Legislation Support Fund. What is the maximum allowed annual contribution to PACs from individual donors? Contributions by an individual to federal PACs are limited to $5,000 per year. The PAC must report to the FEC the name, address and occupation of all persons who donate in excess of $200 per year. These reports are available to the general public. Are PAC contributions tax deductible? As with all political donations, contributions to the AKC PAC are not tax deductible and must be paid from personal—not corporate—funds in order to be used in direct support of candidates. How is the AKC PAC structured, governed, and administered? The AKC PAC is governed by a Board of Directors elected by the AKC Board and includes both AKC Board members and non-AKC-Board members. The AKC PAC Board adopts and operates under its own set of bylaws. The AKC PAC Board determines when and how to conduct fundraising and has the sole authority to make candidate contributions. The AKC may pay administrative and fundraising costs of the AKC PAC, but is prohibited from contributing directly to its PAC. How does AKC PAC determine whom to support and receive PAC funds? An AKC staff committee makes recommendations to the AKC PAC Board about the recipients and timing of contributions based upon a candidate’s positions on issues of concern to the AKC, legislative developments, and/or candidates’ leadership positions. Any individual AKC PAC contributor may also make recommendations for candidate support, via the AKC staff committee or directly to the PAC Board. However, the AKC PAC Board has the sole authority to authorize contributions by the AKC PAC, subject to the provisions of its bylaws. View lists of candidates who have received AKC PAC support in 2011-2012 and 2013. Does the AKC PAC replace the existing AKC Canine Legislation Support Fund? If not, why not? No. The AKC PAC is limited to soliciting donations from its solicitable class to be disbursed to candidates for political office who share our public policy views. The AKC Canine Legislation Support Fund is a separate mechanism by which concerned dog owners can contribute to support AKC canine legislation operations.